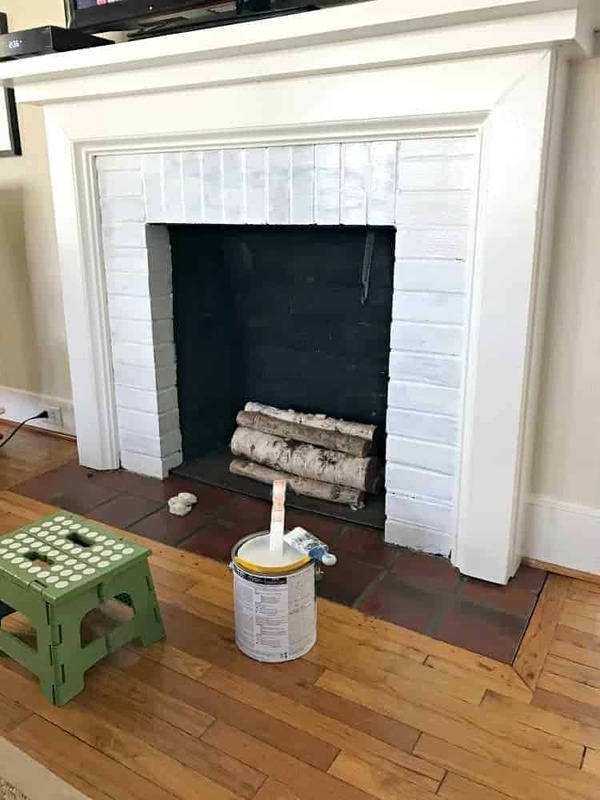 How to paint an old brick fireplace. I was excited to have a fireplace in the living room but that excitement quickly faded when we realized it was in the only space that could hold our tv. After a lot of discussion, we decided that the only place for the tv was over the fireplace. Not my first choice but, when you live in a small space, you do what you gotta do. We slapped a piece of plywood up on the mantel, hooked the tv up and called it done. It stayed this way for 6 months until I couldn’t stand to look at it one any longer. It took awhile to find the perfect piece of wood but we eventually got there. Now the mantel looks 100% better, the tv fits and we ditched the ugly plywood. Now that we finished the mantel makeover, it was time to paint the old brick fireplace. When we moved into the house the brick surround was painted black and inside was a bunch of propane logs (with about 20 years of dog hair and dust). It was dirty, dusty and completely gross. I wasn’t sure how I wanted it to look but I knew it needed to be cleaned up. I removed the screen, as well as the gas logs, and gave the firebox a much needed cleaning. We lived with the surround painted black for months, trying to figure out what we wanted to do. Unfortunately, inspiration never hit. After we finished the mantel, though, I decided to freshen up the surround. I didn’t want to spend a lot of money or time doing a makeover, so I decided to just give the fireplace a fresh coat of paint. 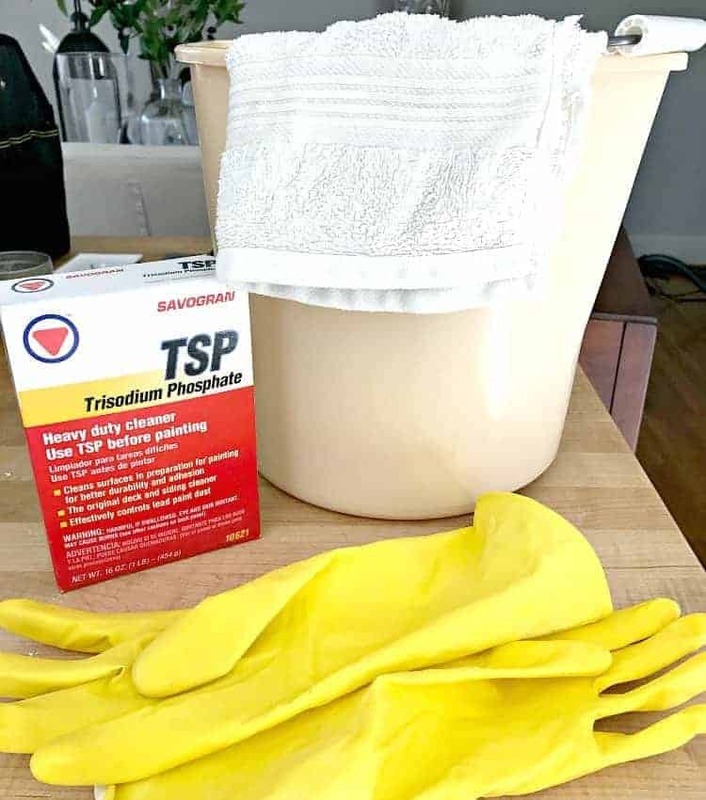 Before any paint went up on the old brick, I donned my snazzy yellow rubber gloves and gave the surround a thorough cleaning with hot water and TSP. The rest was easy. 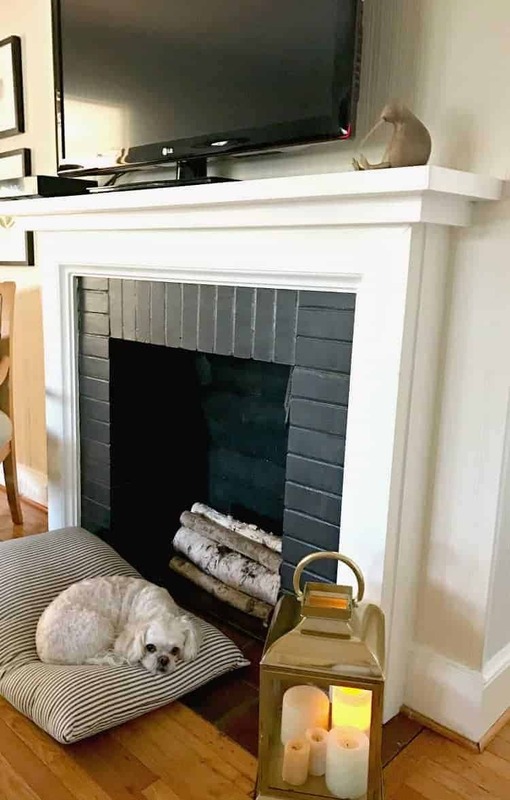 A couple coats of the paint we used on the mantel, SW Alabaster, and the old brick fireplace makeover was looking fresh and new. It only took 6 months and a little bit of paint on the old brick fireplace, but it’s looking so much better and brighter. The walls are on the list for paint (eventually) so that will change things, too. I still want to do something fun to the surround but I can live with this…for now. Love the fireplace refresh so very much! It looks so crisp and bright! You did a wonderful job! I think I’d buy some new bedding! Ours is practically falling apart at the seams! Literally! ? Thanks so much for the opportunity! Nice to see an idea I can copy. We have an old mid-century modern home the former owner painted the brick fireplace gloss black UGH! I will probably buy tools for the f/p after the redo. Thanks for the ideas? Thanks Tom! It was a really easy redo but it made a huge difference. Paint is amazing that way. Love how it turned out. Thanks for sharing at the Inspiration Spotlight party. Pinned & shared. Thanks so much, Theresa, I appreciate it! Hi Starla. I’m so sorry about your Nana. Sometimes subtle changes make a HUGE difference and your fireplace makeover looks great. Thanks for sharing it on Merry Monday. Thank you so much for linking at overthemoon! I look forward to seeing what you share every week. Please come back for WonderfulWednesday or ThursdayFavoriteThings. Don’t forget to comment your link #’s so I can be sure to visit and you get a chance to be featured! Pinned and shared. Thanks so much Marilyn, I appreciate the pin and share. Hope you have a great Thursday! That fireplace turned out great! I’d love for you to join our link up To Grandmas House We Go. I love how the white makes the fireplace pop! Such a simple, yet stunning transformation. I’d be honored if you would share this for my I DIYed that linky party! Oh Home Goods! Love that place! There is so much to choose from. Right now I am looking for a large piece to hang over my sofa, so that would be my first thing to look for. Then it’s whatever else catches my eye! Thanks for the giveaway! I would buy baby clothes. I went from 1 granddaughter who is 2 years old to now 2 more grandbabies. So excited. YEAH!!!! Thank you for the giveaway! If I were to win I would look new pillows!! Beautiful job on the fireplace! I love the fireplace transformation and especially love the small stool with the pitcher of tulips. At Home Goods I would purchase bedding for my granddaughter. She wants a room redo. She will be in middle school in September. Love your updated fireplace…what a difference! Home goods has so many gorgeous items. I would buy some new dishes. My house really needs sprucing up. If i win, which i hope i do, my house will be grand!!! I can’t wait to update the fireplace at my new house! The best part of shopping at Home Goods is just seeing all the wonderful things they have for sale! I would make my choice after shopping for hours! Your fireplace makeover is stunning! I would probably buy some new spring decor! 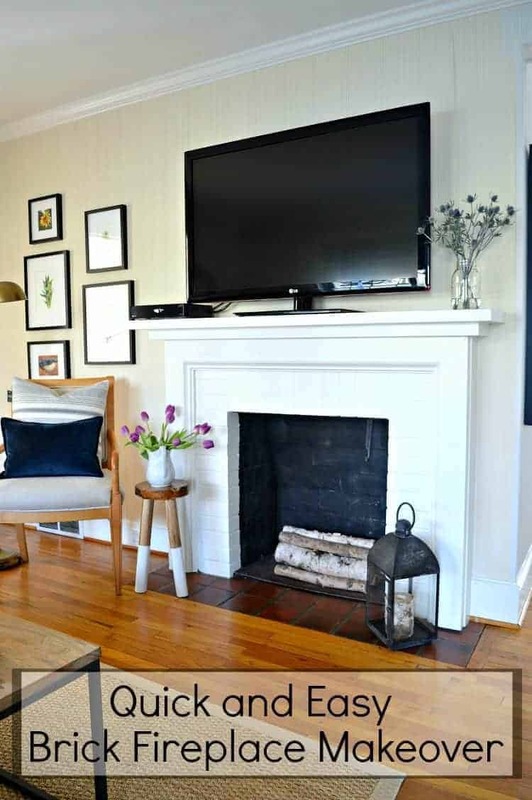 Beautiful fireplace makeover! Love it! Thanks for the opportunity to win the Home Goods gift card. 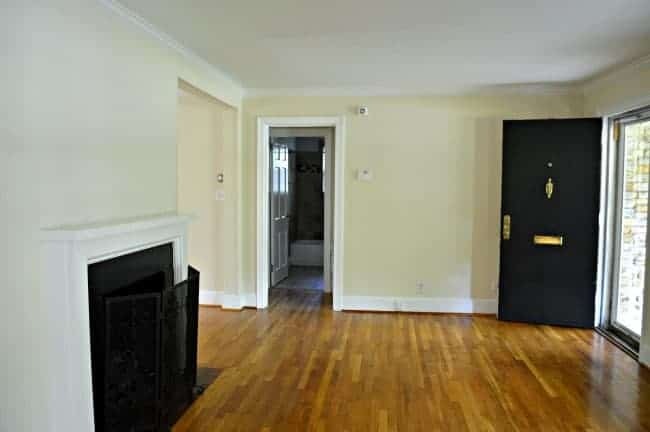 My family room is dark and could use some type of lamp to brighten up the evenings. I would buy a luxury sheet set for my king bed. Thanks for the giveaway and for sharing. I don’t see any electric connection here in the mantel. 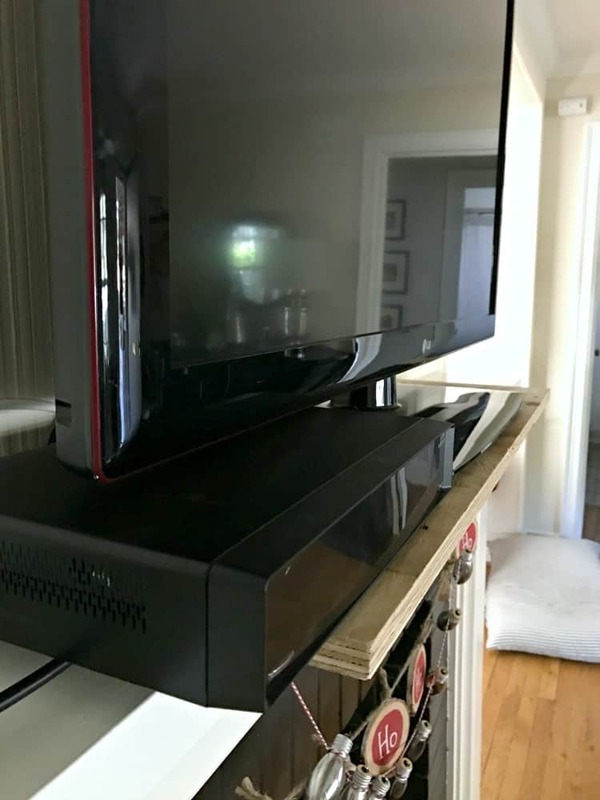 How did you connect the tv to the electricity? BTW looks very pretty. Thanks for sharing. Hope to see you next week. I shopped another HomeGoods today, lots of boxes were being unpacked!!!! So many spring beauties! I just saw a great lamp and wonderful dishes that would go perfectly with the ones I have now. The mantel does look very fresh! If I won…actually I would buy something for my mantel! I have been searching for inspiration myself on what to do with the top to hike my cords and make it look pretty! Wow! Love what you did with your fireplace! I would definitely buy some new pillows and new kitchen accessories if I won the gift card!! I love the mantel! It looks great. I love all things paper at home goods. But I have my eye on an office chair. I would definitely grab the chair. It’s time for some new planters and outdoor candles! And thanks for the inspiration! I finally re-did the interior of my fireplace. Dirty work, but my gas logs needed a good scrub. Hi. If I won I think I would just shop around for usual items. I like items that start a conversation and have interest. I also enjoy their snack food stuff there. Thanks. I was just in Homegoods, I guess I have Lemons on my mind for decorating this spring, I purchased 2 boxes of faux lemons, two kitchen towels with a beautiful lemon print made in Portugal, and a nice pure white cotton throw (no lemons on it) also made in Portugal! There were a couple lemon printed design tablecloths, also made in Portugal that I was swooning over, but they were too small! I’ve got to check out the other Homegoods stores nearby to see what they have for tablecloths! I wish everyone good luck! I would buy paint to finish some walls that are getting drywall hung and mudded this weekend. Thanks! I am always on the hunt for the perfect throw pillows for my couch. 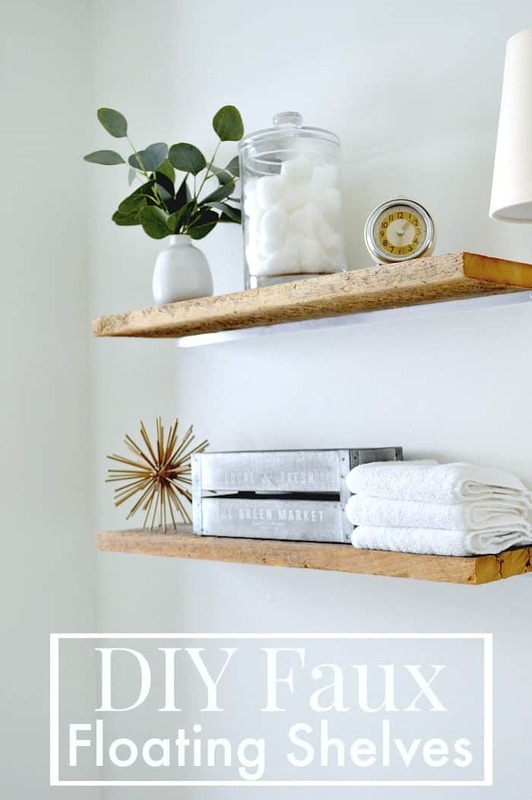 They are an easy accessory to update that make a big change in the look of a room! I am loving your fireplace makeover! At Home Goods, I would purchase some wall art. We just repainted and I got rid of all my old and looking to refresh with new! I’d look for Rae Dunn pieces to add to my collection. Love to hunt for good bargains at HG! We desperately need a new rug for our dining room. The old one is ripped and probably made more of dropped food than rug now. I, too, have a narrow mantel & have been frustrated with it for 6 years!! I am so happy you tackled this problem on your’s so I can see how easily it is fixed! Hubby won’t be happy, but I will! Thanks again & blessings to you & your new home! I would buy colorful spring decorations! I love transitioning from winter to spring with pop of color! We have wood floors like your home, so I would use the card to buy a new rug for our dining room. It looks absolutely lovely!! What a difference! 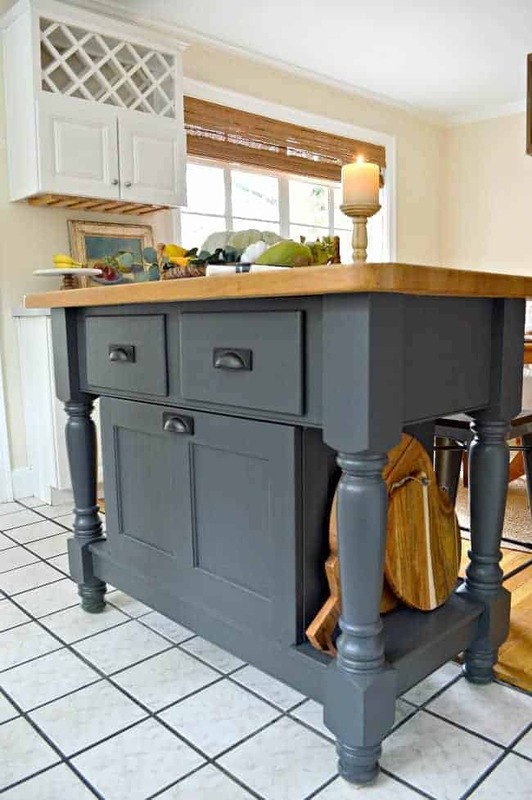 Amazing what a bit of paint can do…. Makes me want to paint….everything. 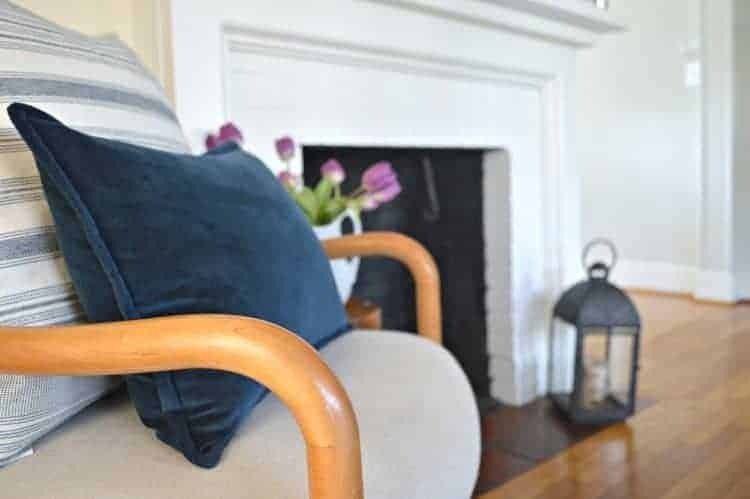 Fireplaces are such wonderful features – I’m lucky enough to have one – but they can be such huge design challenges if they’re from another era. Love how you address yours to make it work for the TV and updated the brick to create an appealing area in your living room. I’m a huge HomeGoods fan so settling on just one thing I would buy is tough, but I think I’d put the gift card toward some fresh, new accent pillows and perhaps some fun new table linens to celebrate spring! They have really nice dog beds. I’d buy my favorite pooch a new bed! Thank you so much for the giveaway. I would love to treat my daughter with something special for the nursery she is decorating. I just recently downsized and am trying to find a new more casual style for our 1926 home. I’d probably enjoy finding some great accessories for Spring at Homegoods! Your fireplace looks amazing. I love the white. You are a worked bee for sure. HomeGoods huh? Oh boy, I could go crazy in that store, but I would probably walk out with a few cake plates. I have a weakness. 😉 Fun giveaway!! I would have to check out the new Easter stuff. Love spring and all the cute bunny decor! Love the fresh look of the fireplace. If I won I would buy a bathroom mirror. I do not have a mirror in the entire place except a hand mirror. LOL Not much of a primper obviously. Moving into a new place I have a long list of things to buy. What I would buy at Home Goods, if I should win. Well, to being with I would shop the throw pillow aisle. I need some new throw pillows in my living room. Then I would head over to the Spring Décor section to find something cute for Easter or Spring. Love the look of your fireplace. What a clean fresh start to Spring right there! Love your blog. Keep up your good work!!! I would buy new wall decor for our living room. I love Home Goods. I am looking for something (wire basket) for fruit. I am also looking for something to give my grand daughter to decorate her bedroom for her birthday. I would get decorative pillows and rugs. Oh my, just about anything from Home Goods is fabulous!! Love that you have upstyled your fireplace – what a difference! I’ve love everything you’ve done to this cute little home and it’s coziness really appeals to my sense of what a home should be. The fireplace makeover is such an improvement. 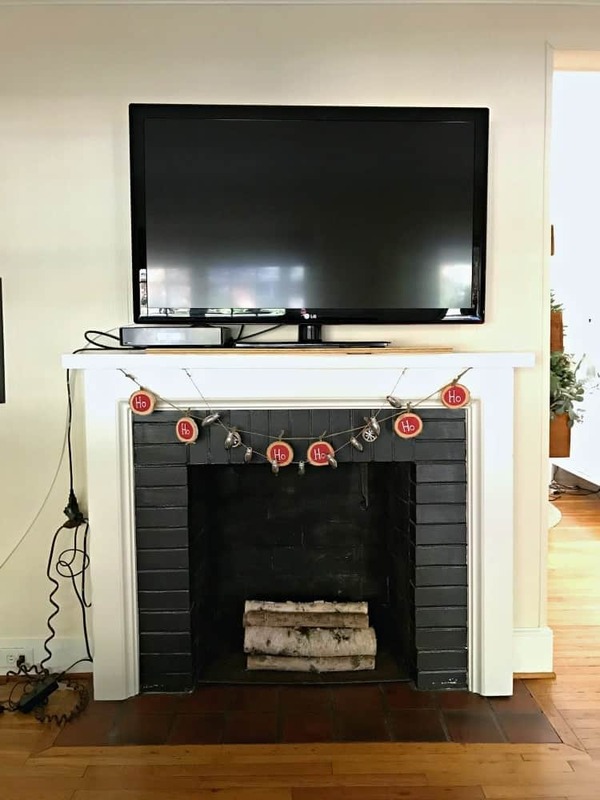 Good call on both the mantle and painting the brick. I love Home Goods but have to limit my trips there in order to have money left over to feed myself and my dog (just kidding). Should I win your giveaway, I would look for new bedding for my bedroom. Did I mention I have a dog? A big dog? 77 pounds of dog who sleeps with me at night on a queen sized bed? Requires frequent replacement of bedding, trust me, and Home Goods never disappoints. Thanks for the opportunity. The fireplace looks great! I would buy a le creuset Dutch oven, if they have one. Thank you for such a nice giveaway opportunity! I would use the giftcard for some nice dinnerware. I could really use some nice dishes! Your fireplace looks fantastic! Your fireplace looks so good! I would probably buy new spring/summer pillows for my couch if I won your give-away. Thanks for doing this! Everything you do, looks fabulous! I am so glad I found your blog. I am seriously addicted to Home Goods, I have been looking to purchase a spring wreath! Your fireplace makeover has come out beautifully! Beefing up that mantle and painting the brick really made a huge difference, well done. I am a Homegoods junkie too, right now I am currently looking for new table clothes for the kitchen and dinning room tables. Thank you for sharing and inspiring, and for the opportunity to enter your giveaway. I go t Home Goods every chance I get! I am on the hunt for a black and white stripped pitcher. I have the red and one and the yellow one. Our kitchen/pub room is black and white. We have a garden window above our sink. Great spot for decorating! I just love reading all of your inspirational blogs! Keeps my mind very active! Would love to find a Spring picture to remind me that it’s bound to arrive here in New England … eventually! I’d purchase some piece of art to go on my mantel! Love, love, love the fireplace makeover! Visiting your blog and reading your posts are such a visual treat! Loving the white brick. It is inspiring me to lighten up my fireplace! I need to decorate the bathroom i’m remodeling. 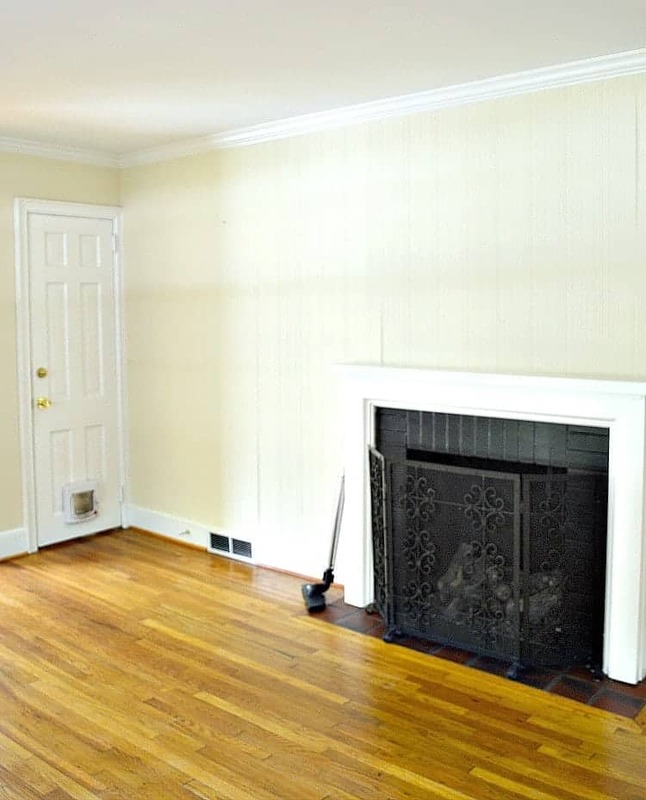 I too lived with a less than lovely fireplace for several years. I convinced the hubs to paint it & the results were beyond amazing. We sorta whitewashed our gray stone & added some taupe. Now I need some spring decor from Home Goods to freshen it up. Just redid our fireplace and mantel too. Yours turned out beautiful. Looking for accessories to finish off the room, so Home Goods is my place always a favorite of mine. Enjoy your projects! I love how the fireplace looks fresh and bright! I have lived in my “cozy little cottage” for 3 1/2 years and still have a blank wall in my little dining area, I have looked and looked, but just haven’t found the right thing, so I would look for a wall piece that fits my beachy cottage look. Have a good week and thanks for the chance of a reward. I love your white fireplace. Helps me firm up my plans to paint my own red brick fireplace, which is in a dark room, to update and lighten the space. I love Homegoods and usually go first to the lamps and furniture. Always on the lookout for fabulous lamps to update my spaces. Love Home Goods. They have a horse picture I’ve been wanting for 1-1/2 years. On, forgot to say I’d probably buy lamps at Homegoods ? I would love to know how you attached the wood piece to the top of your mantel as I have the same issue – – very narrow mantel. Thanks!! Hi Jacki! 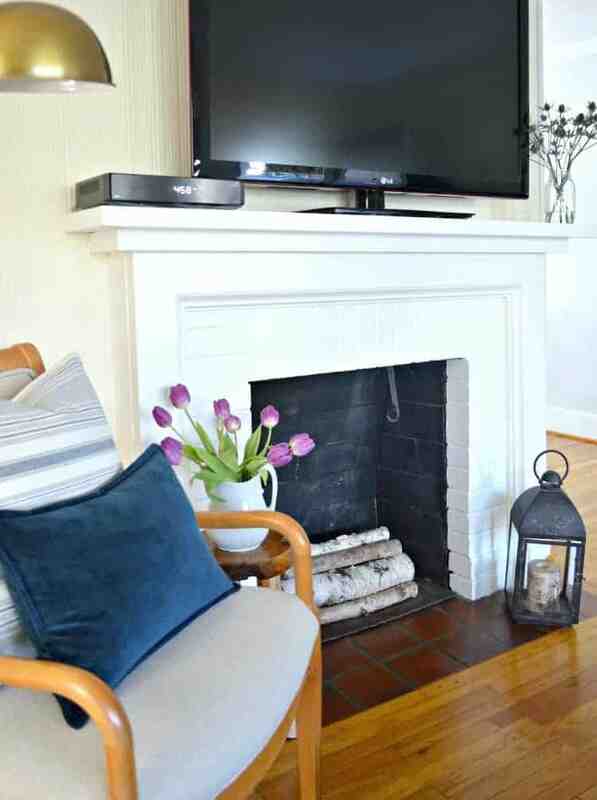 I did on post on how we did the mantel and linked to it in this post. In case you missed it, here is the link. I need new bathroom rugs, so I’d probably do that or be frivolous and hit lighting. LOL. Thanks for the opportunity. I need two baskets for my kitchen! Love the white bricks. Really brightens up the room!